City's final home match of the season against Carlisle United is also sold out, if you would like to add your name to a waiting list or to book any of the remaining games, please email: jake.wood@ecfc.co.uk or call 01392 413 957. 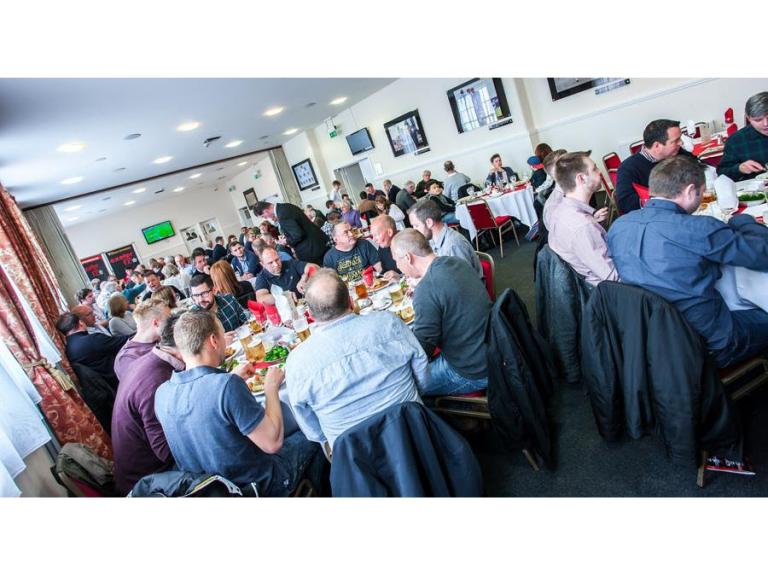 Either for corporate matters or personal use, matchday hospitality is one of the best ways to enjoy the City experience, and make the day extra special. Our Gold, Silver and Bronze packages all offer superb value, and have been produced to suit all requirements and budgets, making sure you have a day to remember at St James Park. Season ticket holders can also upgrade their matchday experience. Bronze packages start at just £30 for adults (£15 under-18s) and includes your match ticket in the IP Office Main Stand, a matchday programme and team sheet, use of the Executive bar. Silver packages start at £39 for adults (£21 under-18s) and includes your match ticket in the IP Office Main Stand, a matchday programme and team sheet, a one-course meal and half-time teas and coffees at a reserved table in the Paramount Personnel Suite and much more. The Gold package starts at £45 for adults (£24 under-18s) and includes your match ticket in the IP Office Main Stand, a matchday programme signed by the cover star and team sheet, a two-course meal and half-time teas and coffees at a reserved table in the Paramount Personnel Suite and much more.